I will be starting a new series of posts starting late January or early February called Steven’s Homebrewing Adventure. My wife got me a Brooklyn Brew Shop kit (available at Chapters for those of us in Canada) for Christmas and 4 pre-packaged malt/hop/yeast combos from the same company (White IPA, Chestnut Brown Ale, Rye PA and Oatmeal Stout). The new posts will follow my experiences as a first time homebrewer including a review of the kit and packages from a newbies perspective and, once the initial packages are complete, my move into brewing recipes and eventually creating my own recipes. Right now I am reading Randy Mosher’s book Mastering Homebrew: The Complete Guide to Brewing Delicious Beer (Chapters, Barnes & Noble) to get a better idea of what goes into brewing at home and things to think about as I move from pre-packaged recipes to following existing ones to making my own. The posts will be tagged the same as this one along with the beer style being brewed. Mike and I will start brewing 2016/01/16. 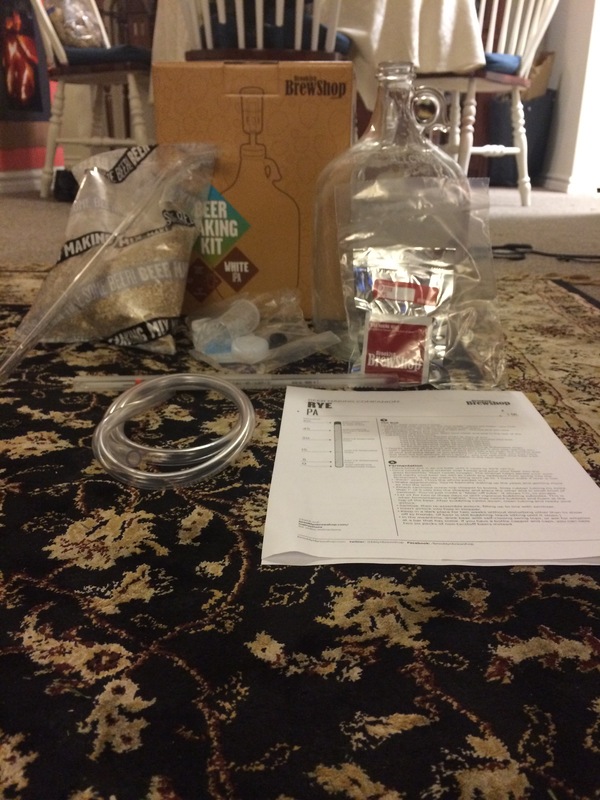 This entry was posted in Homebrewing and tagged brewing, craftbeer, homebrew, homebrewing, Steven's Homebrew Adventure. Good luck! Looks like we’ll be brewing around the same time! Cheers. Best of luck to you too. What will you be brewing? It should be a lot of fun. We can all learn from each others mistakes I think.